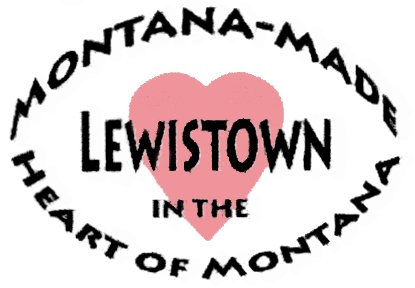 Street Amenities (benches, bike stands, litter receptacles) for Lewistown, Montana. 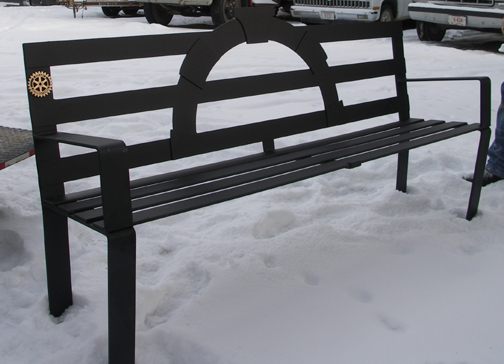 Bench backrest designs based on architectural elements of historic buildings located on Main Street. Fourteen benches secured on the trailer and ready for delivery! Rotary Club sponsored a percentage of project cost. essential to the success of this project. 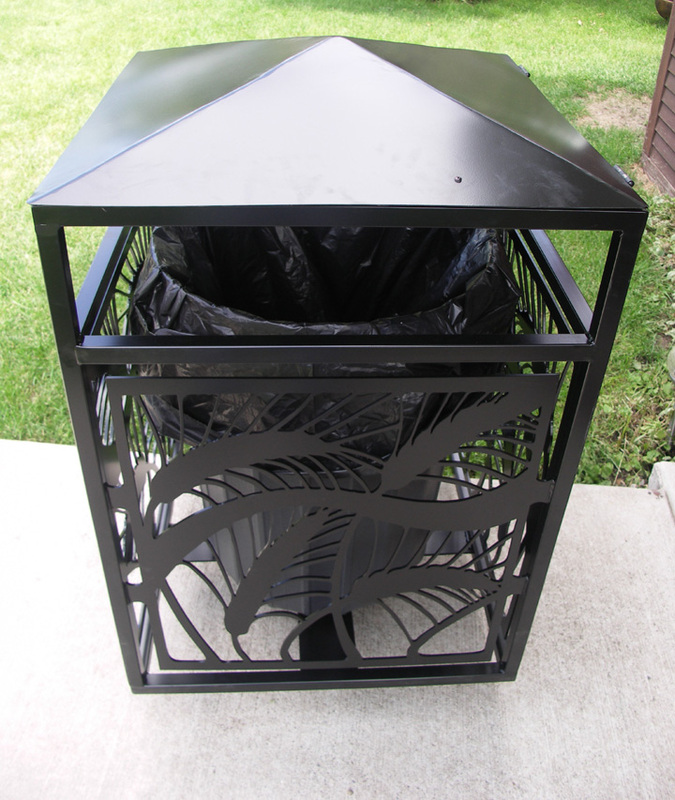 with flat black powdercoat finish. inspiration for this bench design. 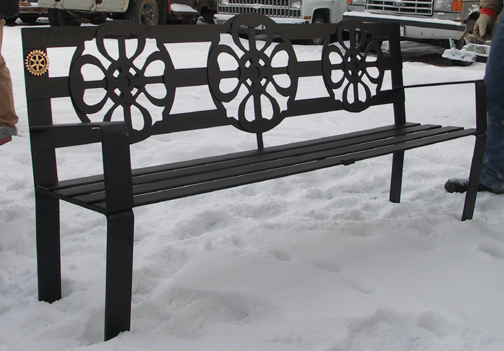 RIGHT: Various floral fans, such as those gracing the News Argus building, were the inspiration for this bench design. 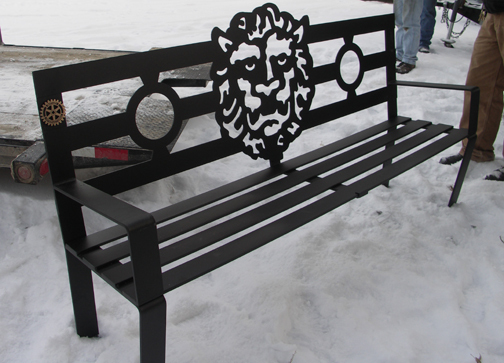 Rotary emblem was installed on this bench after the photo shoot. 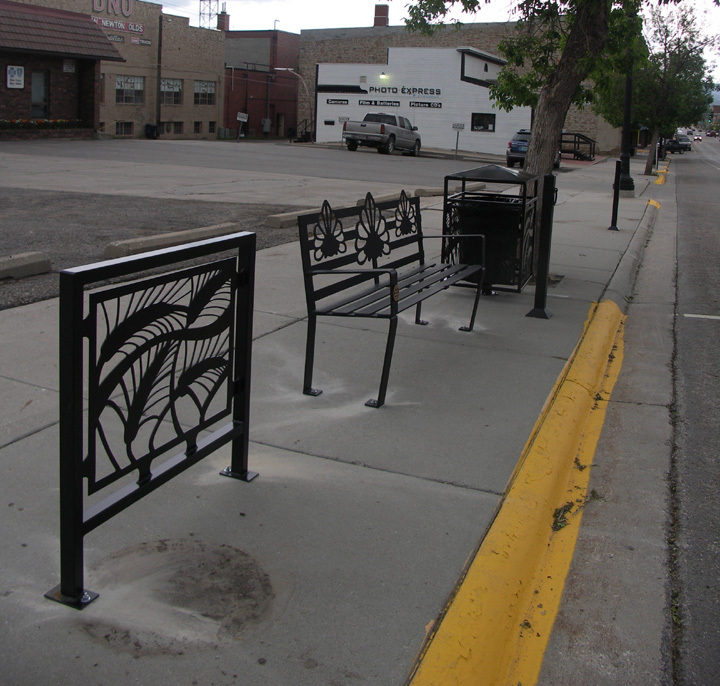 RIGHT: Quadra-foils appear as embellishment on several buildings and served as the inspiration for this bench. 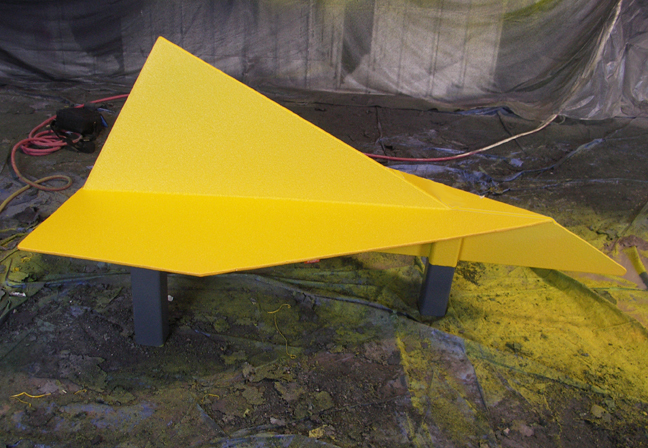 This design was created as the proto-type bench during the early phases of this project. LEFT: A decorative motif known as "egg and dart" appears in many variations throughout the historic buildings, both commercial and private. 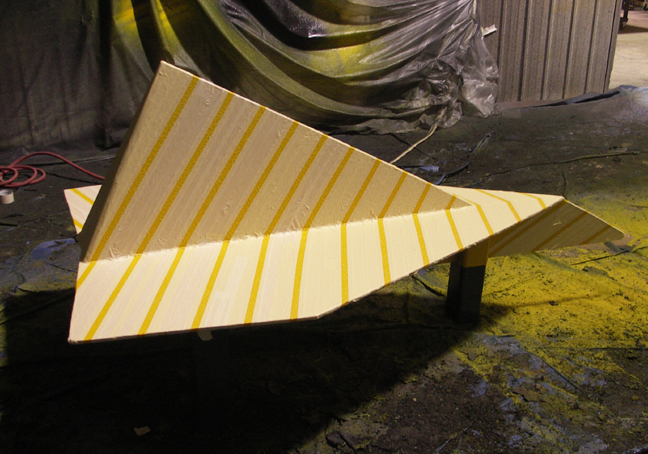 This bench represents the common attributes of "egg and dart." 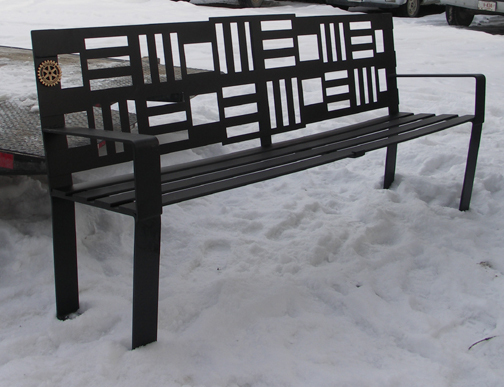 RIGHT: This bench design was inspired by the fancy brickwork that appears on the building that is home to the Glacier Bar. Several buildings in town that may appear "plain" on first look, gain visual interest from the subtle variations in how the brick or stone was laid. LEFT: This bench design celebrates the structual and decorative quality of the arch. Arches are beautiful in their simplicity and the engineering problem they solve through the use of a keystone at the peak of the arch. Litter receptacle container use the same wheat pattern as the bike stands. Pattern is on all four sides. 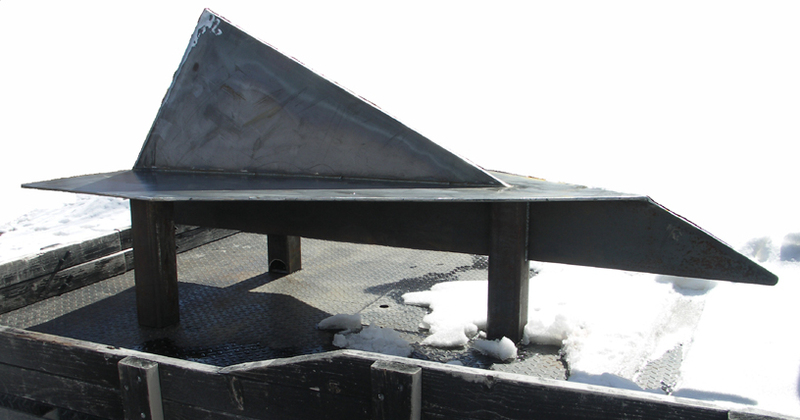 Cross bars at bottom support litter barrel. 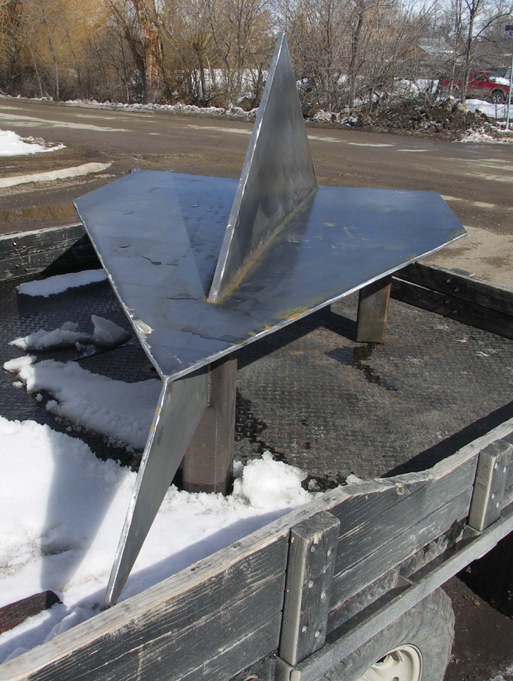 Single pedistal with four anchor bolts mounts unit securely to pavement. The visual effect is as if the unit is floating over the pavement. 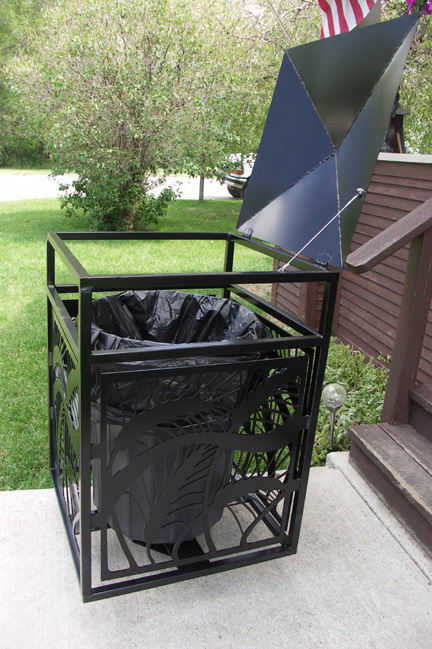 Lid lifts up (cable line holds it open enough to easily remove trash bags and/or barrels. Sufficient space was allowed for around the barrel insert to make removal of litter bags easy, even in winter when heavy gloves are worn. 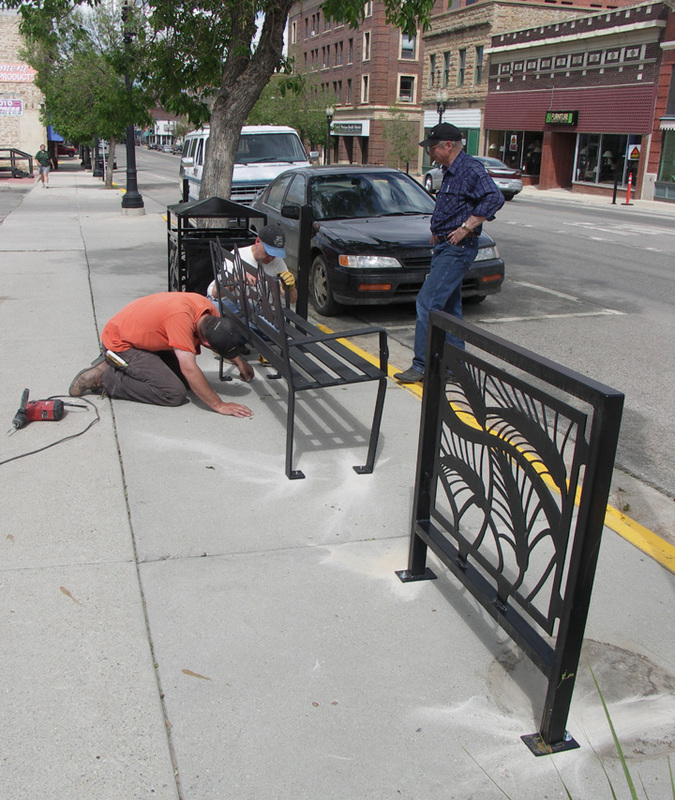 Warden Bourne installing/securing the first set to the sidewalk on Main Street. Installed first set. 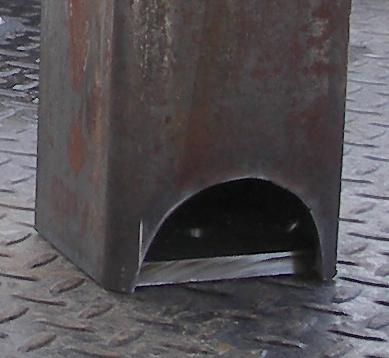 The lid of the litter receptacle was designed to match the parking posts caps the City had installed earlier. 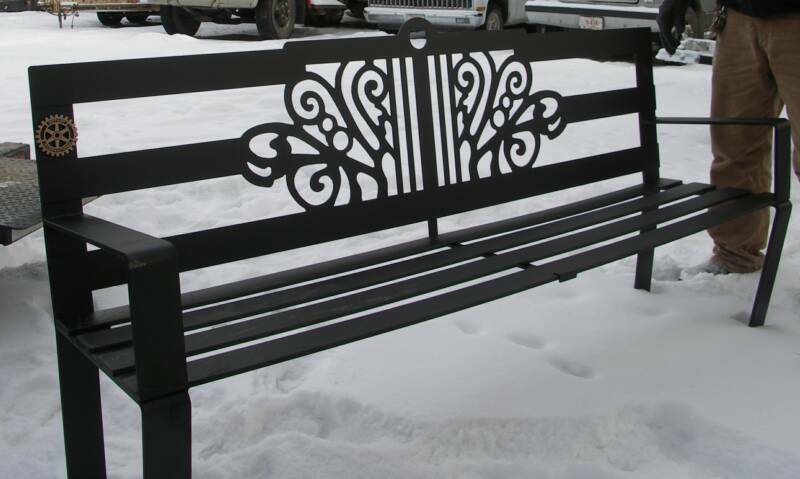 This bench's floral fan design is derived from those gracing the News Argus building and top of the Bank Electric Building, both of which are across the street and can be seen by pedestrians relaxing on the bench. 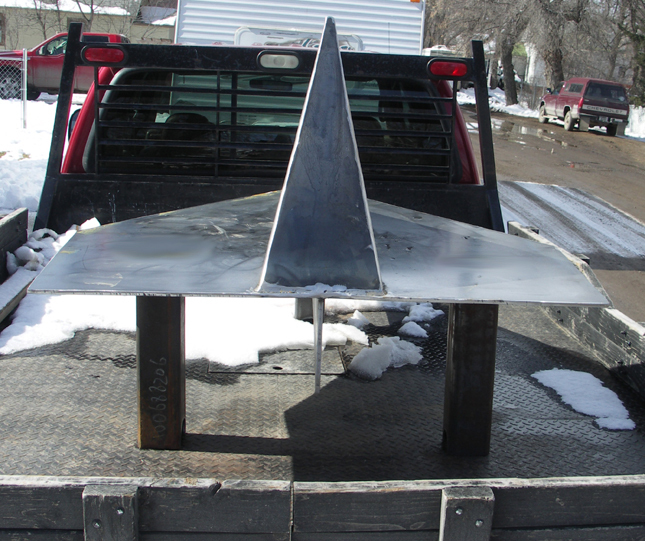 BELOW: PHOTOS TAKEN WHEN BENCHES WERE INITIALLY DELIVERED TO THE CITY YARD TO AWAIT INSTALLATION (spring 2010). Design concept by artist Carol Poppenga. 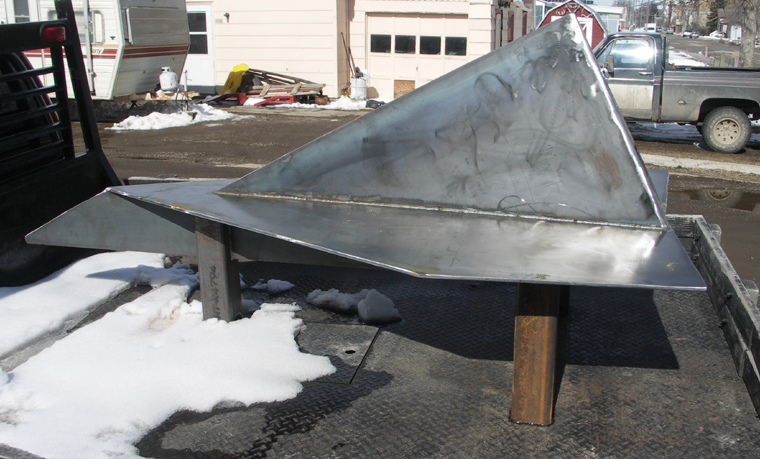 Warden Bourne and Jeff Martin completed the metal fabrication. 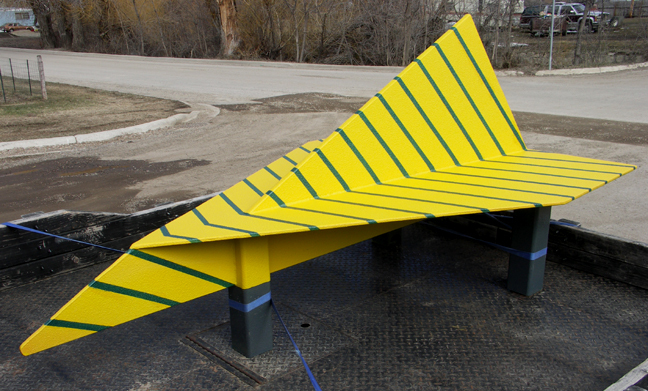 yellow finish coat and blue lines. Scroll down for more information about this bench. Each of the three support posts hide the bolts. Arched opening allows finger/tool access for tightening or loosening bolts. Vertical stabilizer presents a flat panel rather than an open space (as a real paper airplane would.) This means no space for small hands to potentially get stuck in. Top view (photo at Right) shows seating surface. This bench gives sitters the option of facing in different directions yet still have a backrest support. Another view that shows off the seating surface. Very comfortable! 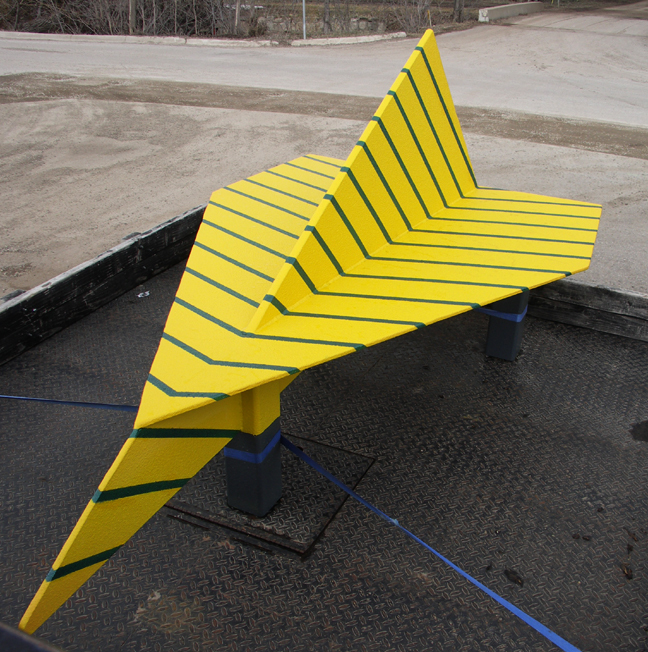 The Paper Airplane Bench is 7 ft long and 4 ft across at the widest spread of the wings. 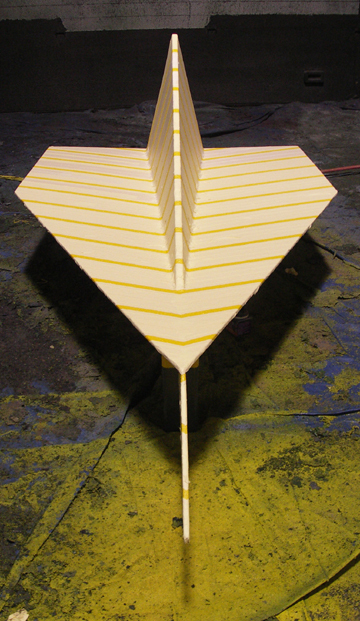 Three 4-inch support posts: One about 2 ft from nose and one under each wing (and each set at 1 ft from rear edge of wing and 7 inches from side edge of wing.) Distance between front and rear support posts is about 3 ft. 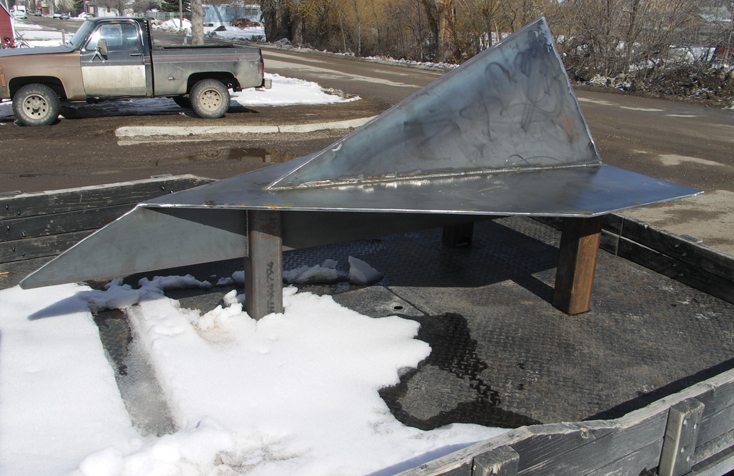 Approximate distance between front post support and rear support posts is 3 ft.
Once completed, this bench will be installed in the City of Idaho Falls' Snake River Greenbelt Park. 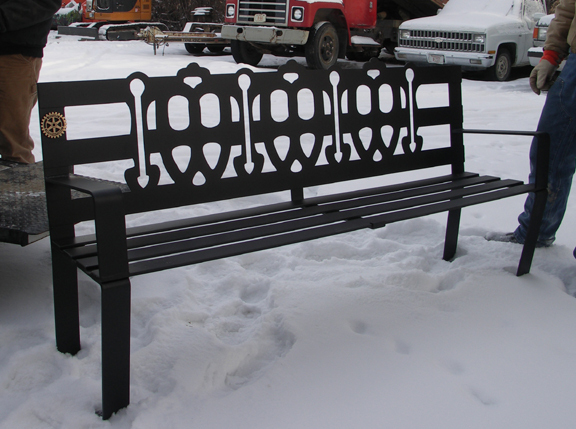 This our second bench for the City of Idaho Falls. To see the first bench, click on "Our Products" in the column at left and scroll down the page. 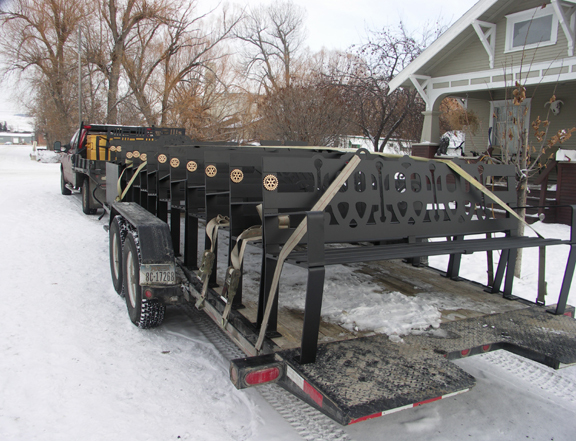 Completed bench is secured to the truck flatbed and ready for delivery to Idaho Falls, Idaho. Photo shows seating surface. Photos show the lines taped off and ready to paint; shown is side and front view. Front view has the appearance of a pito tube. 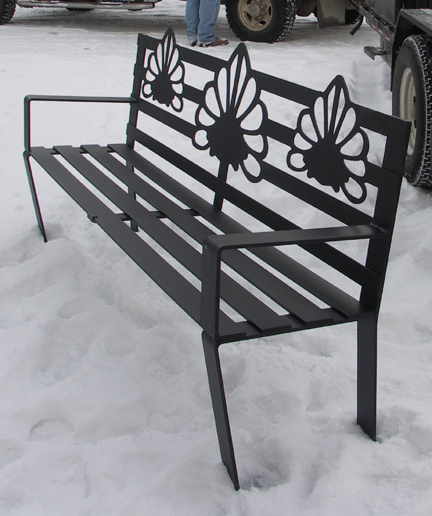 PHOTOS BELOW SHOWED METAL FABRICATED BENCH PRIOR TO FINISH COATING.